We design personalized kitchens for IKEA customers. For just $295. And we work completely online. We'll guide you through the IKEA kitchen journey. With just your kitchen measurements, a few photos and our online design questionnaire. You'll receive a draft design and the option to request two design changes. You'll receive a complete design loaded onto IKEA's Home Planner. Dinovelty is the luxury interior design and kitchen boutique located in South Florida. With more than 20 years of experience worldwide, formed by a team of professionals who offer a variety of services in the design of unique and innovative spaces. Our work is the development of professional services related to decoration and interior design. In Dinovelty we offer advice, project development, renovation, construction work, interior design and landscaping. We work to interpret the needs and expectations of the client, accompanying him at each stage of the process. We take care of both the project and its subsequent implementation, construction management, furniture design and the provision of different decorative elements. We provide our clients with high end quality products, professional in home design concepts, and on site project coordination. 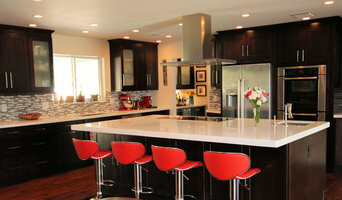 Specialized kitchens, bathrooms, outdoor kitchens, and custom walk in closets. Our design take great inspirations from the principals of Biophilic and Universal Design helping transform space to a more green and space friendly. ABOUT US: With over 11 years of design experience in the Miami area and in Colombia, Blu Ink Interiors brings innovative concepts and a collaborative approach to the client-professional relationship. Though we offer a variety of interior design services that can align with any client aesthetic, our specialties include: Industrial, Boho, Modern, Beachy, Transitional, and Contemporary. From kitchens to children’s rooms to architectural lighting, we achieve your design goals by listening to your needs and offering professional suggestions based upon your personal style. In order to streamline the design process, we offer special trade program services and incentives to our clientele, and only work with experienced and licensed contractors, architects, and vendors. Kitchen and Bathroom experts and brand distributor. OUR PROCESS: The key to our success is client communication from start to finish. We are always available to help answer any questions throughout each phase of the process. The initial consultation is all about learning your design style, goals, and needs for your space. After a financial proposal has been agreed upon (based on scope of work and specifications), we present our design ideas and material selections to you for approval. Once these items have been approved, we procure the materials and begin construction. The last step is the big reveal! Thank you for taking the time to learn about us! We hope you enjoy browsing our profile, and look forward to hearing from you soon! We've been cooking up Great Kitchens since 1964. We're a family owned and operated business, catering to homeowners like you for over 55 years. When you work with us, you work with a staff of design professionals that really understand style, planning, materials and budgets. And that means you get the kitchen that truly reflects your personality and style. See my Before and After pictures. Certified Kitchen Designer. I've had the pleasure of designing kitchens for a variety of customers for over 30 years. 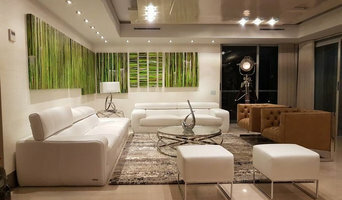 I started off in Colombia where I was able to design for all sorts of housing types, and later in the Midwest and finally here in South Florida where I've explored a large amount of styles, sizes, and budgets. Due to this extensive work with all types of customers, I am always happy to listen to your ideas and make something that you and your family will love. Since 1995, Creative Kitchen serves the industry with high quality products and a commitment to customer service. Our company works hand in hand with home owners and contractors alike to create custom solutions while maintaining a competitive price. We don't just sell kitchens, we manufacture them ourselves, giving us complete quality control and life to your vision. From start to finish, we at Creative Kitchen will aid you each step of the way to ensure your satisfaction. With our innovative ideas and professionalism we transform dreams into reality! CUSTOM WOOD architectural millwork is the manufacturer with the most affordable prices and high end quality for your custom designed project. We offer a wide assortment of completed projects and provide visual designs prior to the project's completion. We are fully licensed and insured and continually have special offers and packages on kitchen cabinets, closet and vanities. Call us today to set up an appointment with one of our experts, we also offer pre-estimates over the phone, our website quote form or via e-mail. RCS WoodCrafters, LLC spans over three generations of Master Workmanship specializing in manufacturing, finishing and installing quality furnishings. 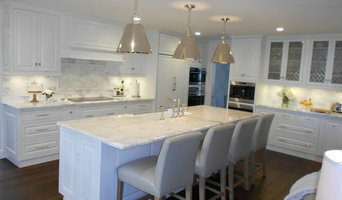 RCS is renown for the finest handcrafted custom kitchens, nooks, bathrooms, bedrooms, libraries, man caves, media rooms, etc. and extensive experience and service in the U.S. and private islands of The Bahamas. The company also specializes in the entire home interior's mill work including interior doors, wainscoating, coffer ceilings and mouldings. RCS guarantees quality, reliability and service. NKBA Certified Kitchen Designer, one-stop design/build studio for beautiful custom cabinetry, where you get designs tailored exactly to your needs, with the utmost personal attention. We are a certified Wood-Mode dealer; please visit www.wood-mode.com to view inspiring designs for every space in your home, in styles ranging from sleek minimalism to warm traditional or rustic chic. Call us for your next project! Background: Efrain Machado, CKD (National Kitchen & Bath Association Certified Kitchen Designer). Judy Linklater, BFA (Bachelor of Fine Arts in Interior Design from IADT), MBA (Master of Business Administration in International Business from Everest), and CLIPP (Certified Living in Place Professional from Living in Place Institute). Design studio specialized in better living. We plan Kitchens, bathrooms and the other house modifications to accommodate new life circumstances with emphasis in safety and independent living for all family members. We provide cutting-edge, out-of-the-box solutions that use Universal Design to promote a healthier and harmonic living. We are a customer oriented team that supports the client during and after the project done. We specialize in kitchens, bathrooms, pantries, closets, laundry rooms, home offices, craft rooms and wall units. Design is Everywhere is a licensed and insured company serving Broward and Palm Beach Counties. Our experienced staff will visit you in the comfort of your own home or business to better oversee any of your home remodeling/new design projects and we work within your specifications. Our services also include working with long-distance customers and clients in other counties, states and even other countries. We can work on your project goals via the web. Composé Decor is a pioneering company in the field of home décor, design, and fashion. Originally based in Brazil, Composé Decor has ensured the highest standards in service, detail and quality by compiling a team of knowledgeable and experienced professionals. With or company, customers can rest assured of receiving fair pricing and manageable payment plans which are ultimately geared toward customer satisfaction and comfort. With over 100 suppliers in various categories, Composé Decor specializes in fine porcelain floors and tiles in a broad range of finishes and sizes. Furthermore, Composé Decor has the flexibility to accessorize, custom kitchens, bathrooms, television fixtures and many more decorative features. In 2013, the brand celebrated its 20th anniversary and expanded its creative concept. As a cultural hotbed loved by Brazilians, Miami has been chosen as the venue for the first Composé Decor showroom outside of Brazil; having a great location in the Design District in Miami. You will be able to appreciate all the variety of tiles that we have in stock, our custom-made displays, such as, kitchen, closet, vanity, and home theater unit. The fusion of our concept and creativity with the cosmopolitan style, majestic downtown skyline, and bustling art-deco district will ensure that Composé Décor will be leader in the home design industry for many years to come. Parkland Kitchen & Bath is a Full Service Design & Remodeling Firm located in Parkland, Florida. Founded by Jaime Rapp, a Florida native and Parkland resident, Jaime holds a Bachelors in Interior Design from Florida State University and has over 18 years’ experience in the design industry. 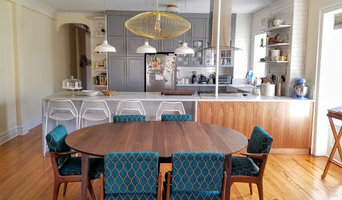 As a certified Kitchen & Bath Designer with NKBA, not only is Jaime constantly in the know regarding new trends and materials, but she holds a State Residential Contractor license and is 100% dedicated to getting your job done from start to finish in a timely manner with her reputable work crew. Listening to her clients' needs and paying close attention to detail have earned Jaime her success as a referral based business. If you are thinking of remodeling you owe it to yourself to contact Jaime! Espacios is a custom cabinetry company based in Miami. With many years of experience in fine woodworking, Espacios provides only the best quality service without compromising speed and creativity. With international contacts the quality and exclusivity of our product is guaranteed to meet and surpass client's expectations. What does a Cutler kitchen designer or bathroom designer do? A kitchen and bath design professional in Cutler, FL knows to take all of these crucial points into consideration and can help plan the layout, materials and overall look and feel of either of these rooms in your home. Kitchen designers, as well as bathroom designers, are constantly staying on top of trends in the ever-changing industry. The designer also knows the best layout for your room, and can configure the layout for optimal functionality and utilization of the space. In the kitchen the refrigerator, stove and sink should be laid out in relation to one another, and it should be seamless and easy to move from one to the other. A Cutler kitchen and bath designer will know how to work with a contractor and architect to plan the flow of the room to work best for your needs. Here are some related professionals and vendors to complement the work of kitchen & bath designers: Kitchen & Bath Fixtures, Appliances, Tile, Stone & Countertops, Cabinets & Cabinetry, Woodworkers & Carpenters. Before you talk to bath and kitchen designers in Cutler, FL, consider how you will use the room. For your bathroom, is it necessary to have a bathtub for bathing kids or pets, or would a shower suffice? Perhaps all you need is a half bath for downstairs or a smaller guest bath for occasional use. Similarly, for kitchen renovations consider your cooking habits. Do you eat out every night but need a space to entertain in? If so, a smaller kitchen might be fine for you, with a space devoted to wine storage or a bar, whereas others might prefer a bigger stove or extra cabinets. When interviewing Cutler kitchen and bath designers, make sure to share these habits so they can best fit the room to suit your needs. Find a Cutler kitchen designer or bathroom designer on Houzz. Narrow your search in the Professionals section of the website to Cutler, FL kitchen and bath designers. You can also look through photos in Cutler, FL to find a kitchen or bathroom you like, then contact the professional who designed it.